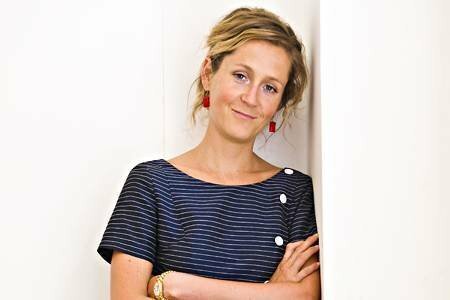 The UK’s digital champion, Martha Lane Fox, has called for government, businesses and charities to promote the innovative use of open data. Other countries have shown how developers can use openly published data to create applications that benefit society and the economy. But the examples seen in the UK so far are on a small scale and need to be broadened out to reach a wider audience, Martha Lane Fox told Computer Weekly. “Open data is such a fundamental part, I believe, of how we move the digital economy on and how we can engage people who have not yet been engaged,” she said. Her comments came as consultants McKinsey predicted the growth of open data had the potential to add $3tn a year to the global economy. Lane Fox identified start-up company Mastadon C – which has worked with Openhealthcare UK to identify £200m in potential savings by analysing prescription data – as an "incredible example" of what could be achieved with open data. But she said the benefits of open data were not yet widely understood by politicians, businesses and the public in general. “We need champions in different places, whether it is in government or corporations, or whether it is in the small and medium sized business sector,” Lane Fox said. The UK needs to do more to disseminate the right skills to exploit open data, she said. That would mean government, charities and social enterprises working together to help non-specialists make use of publicly available data. “It has to move beyond the analysts and the real data gurus to the people who are able to use it in their own organisations,” she said. The public sector in the UK has moved to the point where releasing data to the public is now the default, rather than withholding it, Lane Fox said. An open data index, published this week by the Open Knowledge Foundation, ranks the UK and the US as the most open with government data, from a list of 70 countries. But open data needs constant vigilance, she said. “In my experience, particularly in government, if you take you take your eye off the ball for one second, things start to slow down,” she said. Nigel Shadbolt, co-founder of the non-profit Open Data Institute – which held its first open data summit this week – said the UK needed to do more to promote open data. The UK needs to move beyond releasing datasets towards developing a national information infrastructure that would make it easier for people to use open data, said Shadbolt, who is also professor of artificial intelligence at the University of Southampton. “We have long believed that the best way to develop a high quality supply of data from government is to generate a demand for it,” Shadbolt told Computer Weekly. The challenge, he said, was to persuade governments that the economic benefits from releasing data are always far greater than the money that can be raised by selling it. “The great example is GPS data. The value to economies around the world far outstrips what it cost to put up the GPS satellites in the first place, and the same is true of weather and map data,“ he said.